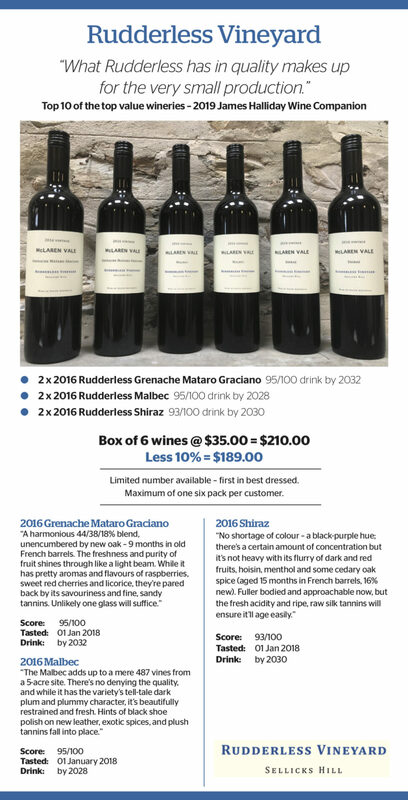 "What Rudderless has in quality makes up for the very small production"
Rudderless Vineyard is the creation of wine expert and publican, Doug Govan. 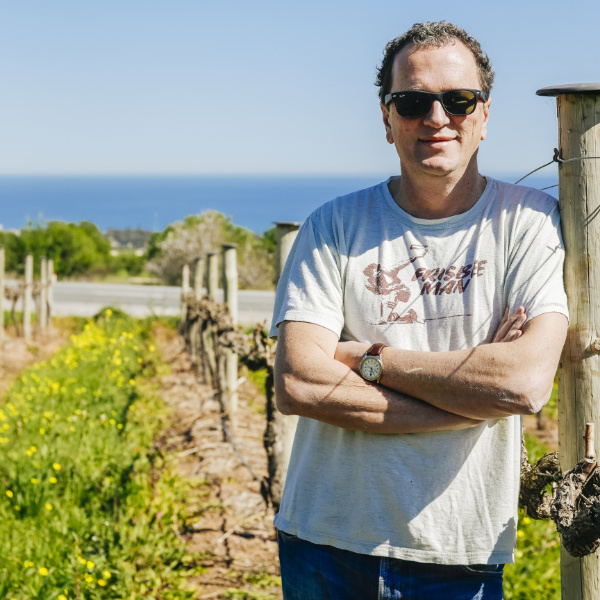 Doug’s long time passion for excellent wines and the careful development of premium vineyards surrounding the Victory Hotel has emerged as international success for Rudderless since the first year of production. The Victory Hotel Circa 1858 is a place to share friendship over a drink and a meal; it has been so since the southern Fleurieu was opened up by the first crown surveyor, John McLaren. The Hotel looks north over the McLaren basin and sits in the foothills as the southern Willunga escarpment falls into the sea. The ocean has an influence on the comings and goings of daily life here. The Rudderless vines are all grown on the five acre estate vineyard surrounding the Hotel. Combining the vineyards’ maritime climate and Winemakers Pete Fraser and Charlie Seppelt at Yangarras’ experience and dedication with Doug’s passion for his project, the resulting Rudderless wines are spectacular!